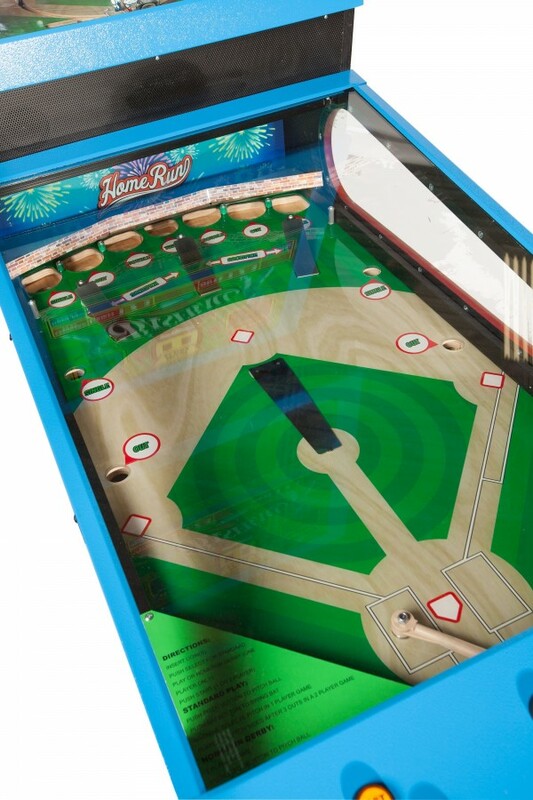 Assembled Dimensions: L 56" x W 30" x H 36"
ALL STAR BASEBALL offers the traditional feel of the ballpark with a perfectly manicured infield and a lush green outfield. The player's uniforms and positions take us right to the front row of the action. The only things missing are the popcorn and hot dogs. 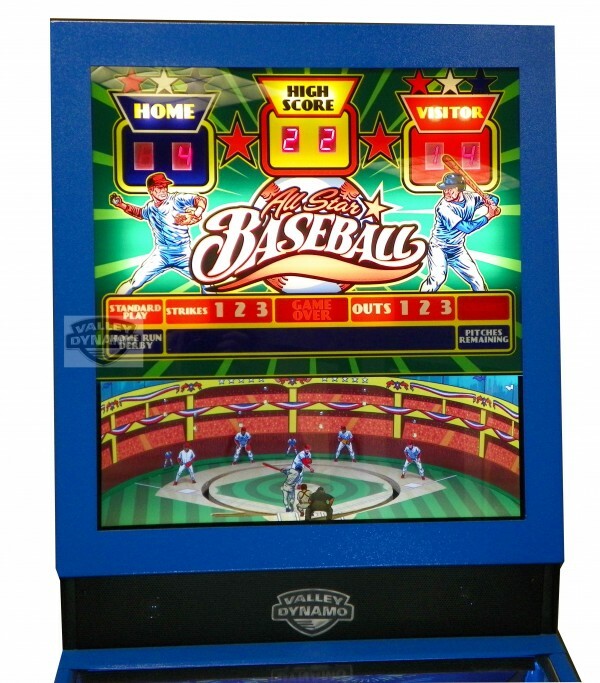 The cabinet art reminds us that baseball is the American pastime with its red, white and blue design. 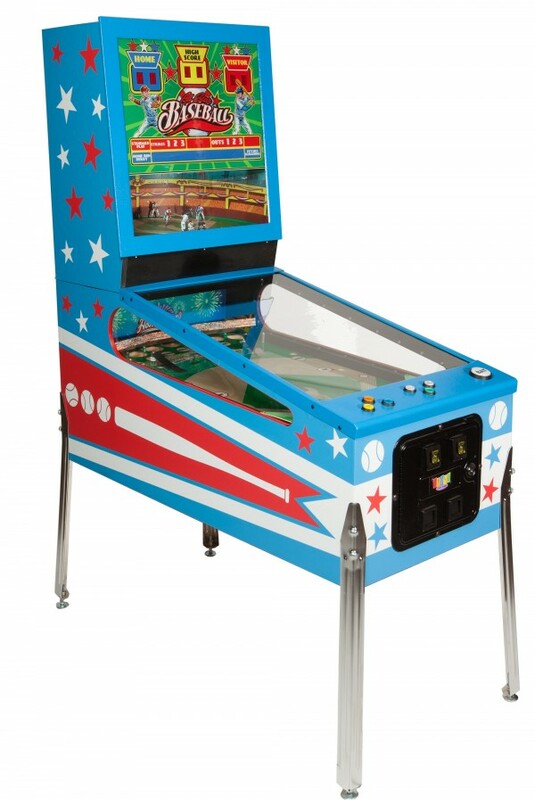 Fans of all ages will flock to the turnstiles to play this game.